Are you tired of the standard food that comes in Minecraft? So this mod may interest you. 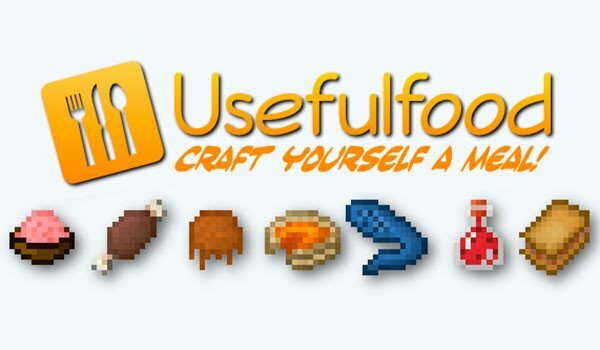 UsefulFood 1.7.10 is a mod that adds a lot of new and varied food. Actually adds a total up to 50 new grocery items. Among them we find lamb, chocolate cake, pumpkin bread, cake magic tentacle squid, fried eggs, salad, fruit salad, milk, ice cream, sandwiches of various kinds, sushi and more. How to install UsefulFood Mod for Minecraft 1.7.10?